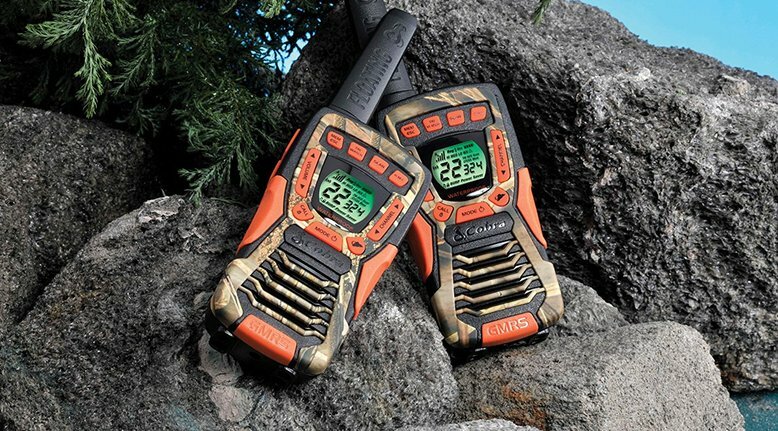 Cobra has made some great camo walkies designed for hunting, camping and hiking. They have a 37 mile range, and 10 NOAA weather channels with alerts to let you know when to take cover from storms and emergencies. The walkies can float, and have an IPX7 standard water resistant rating. Another great feature: the Rewind-Say-Again technology that allows you to replay up to 20 seconds of missed conversation. At the time of posting the price was $85.